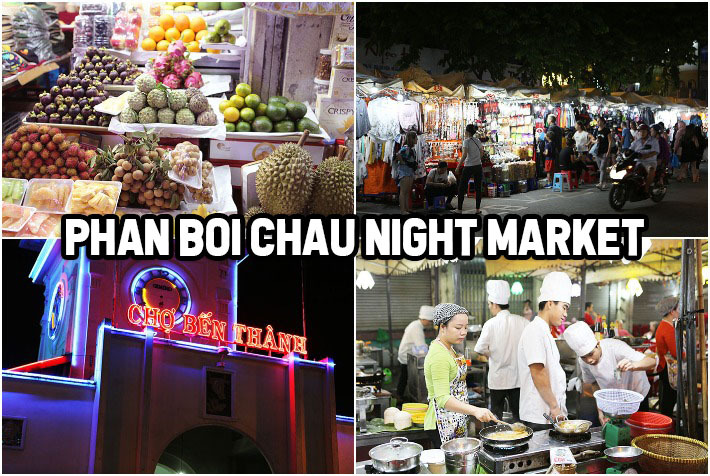 Phan Boi Chau Night Market—Ho Chi Minh's Central Night Market A Hit Or Miss? There were a number of stalls around the market offering Vietnamese products, produce and snacks in the night market. However, we did realise that they were priced slightly higher than the exact same ones we saw in the day at another street stall. While the price difference wasn’t a huge issue for us as it was not significant, we were thoroughly underwhelmed by the variety of items sold at the stalls. Tip: Check the prices of the items you want in the day before purchasing anything here. It’s harder to bargain for snacks and produce compared to fashion items such as bags, clothing and accessories. There were roughly only 2 to 3 stalls here that offer full sit-down meals and dishes. The majority of the stalls offer seafood and a number of standard Vietnamese dishes priced higher than regular street stalls. Tip: Ask for the prices before ordering anything as most of the seafood items do not have a specific price on the menu and you might be conned into paying way more than what it’s worth. If you compare the retail stalls at other night markets to Phan Boi Chau Night Market, you’ll be sorely disappointed. Most stalls offer only touristy t-shirts and every single bag stall here sells the exact same thing. There are a ton of fake luxury goods here, from branded bags to even sneakers. Tip: You can bargain easily, especially if you purchase more than one item, as long as you don’t quote too ridiculous a price to annoy the stall owners. Phan Boi Chau Night Market was just immensely underwhelming for us and it lacked the fun and exciting atmosphere of most of the markets we’ve visited in Asia. Many of the shops sell similar items and there really isn’t much variety with regards to street snacks and apparel. For more recommendations, read our Ho Chi Minh City guides to discover the best places to visit in the city.